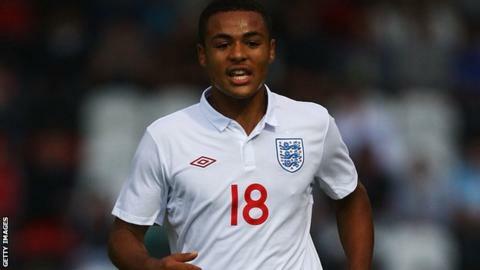 Former England Under-18 captain Courtney Meppen-Walter has joined Carlisle United on a two-week trial. Meppen-Walter, 19, was sentenced to 16 months' imprisonment in February following a road traffic collision which led to the deaths of two people. Former Manchester City trainee Meppen-Walter was mistakenly released from prison after four months only to be rejailed 24 hours later. The defender has linked up with the League One side after being released. "We have all done things in our past that we could reflect on and change. We all deserve a second chance," manager Graham Kavanagh told BBC Radio Cumbria. "He seems a lovely lad. He is remorseful about what has happened. "It is an opportunity for us. Courtney is a young man who has made a mistake and hopefully people can forgive him and can move forward."